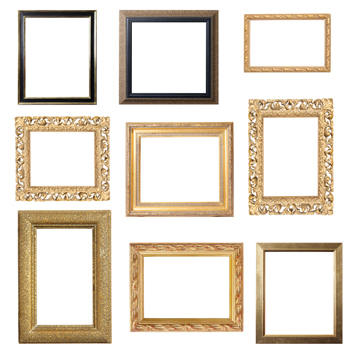 Cappers Frames and Prints has the area's largest selection of frames. Since we're an independent frame shop, we're not tied to any one particular brand of frames. In fact, we carry more than a dozen brands of frames. That means you're more likely to find the perfect frame for your artwork. Click here to see some of our frame work!